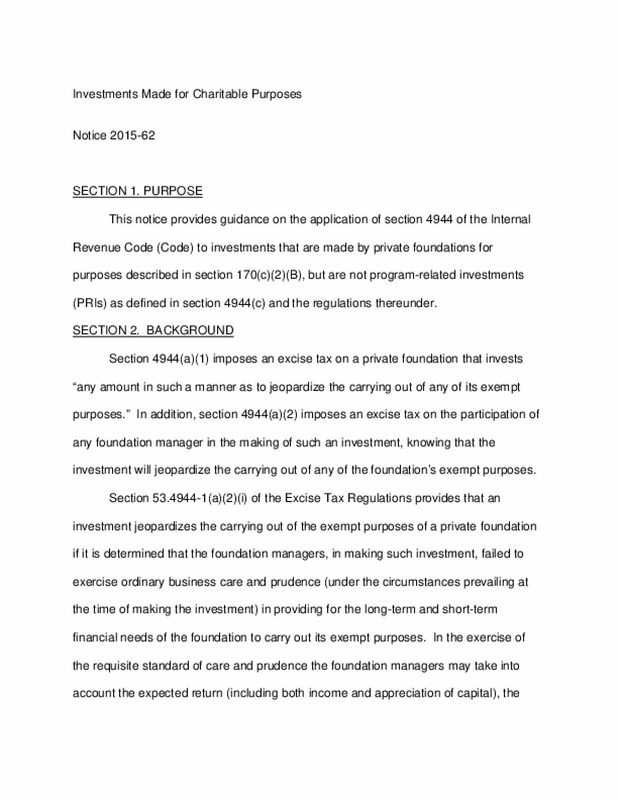 The Treasury Department recently released a guidance recognizing that foundations are increasingly aligning their investment decisions with their charitable purposes, and clarifies that this alignment can be part of a prudent investment policy. Copyright 2016 by U. S. Department of the Treasury. Internal Revenue Service. All rights reserved.